They marveled at what was said about Jesus! This amazes me that they marveled! 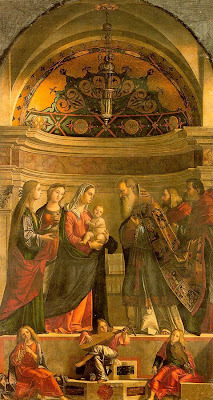 These are the people who each had angelic visitations (Mary, in person - Joseph, in a dream) telling them that Mary, who was a virgin, would soon give birth to the Son of God! This is the Mary who uttered prophecies regarding Jesus, which were inspired by the Holy Spirit. We could come up with different explanations for their marveling. But it comes down to this: Jesus is worth marveling over! And his marvel-worthiness is indefinite! I believe Mary was marveling when the first angel gave her that first visit, and she was still marveling when her boy was ascending back to his Father in Heaven! Gasoline in your car runs out. Bubblegum flavor runs out. Jesus just doesn’t run out! He always surprises, always amazes, always invokes some kind of shocking response! My college choir once went to perform at a church, for their Wednesday night potluck. It’s not unusual for college students to sing for their supper. I remember sitting next to my friend Kevin. At that time, Kevin was still a fairly new Christian. He usually had an insight into religion that you just don’t get from looking through rose-colored stain-glass windows all your life. Half way through the meal, he directed my attention to the contents of his dinner plate and said, “Man, I may not know everything about being a Christian, but I’ll tell you one thing I know: Jesus ain't no bad meatloaf!” Kevin knew that Jesus was so much better than a potluck, or its menu selection. Jesus is full of fresh surprises! Jesus is about the new. He’s the only one who can give you something 2,000 years old and accurately call it, Good News! Jesus is not a one-hit wonder! Jesus is not a one-marvel Savior! The Living water doesn’t stagnate! The Bread of Life doesn’t go stale! And Jesus ain't no bad meatloaf!